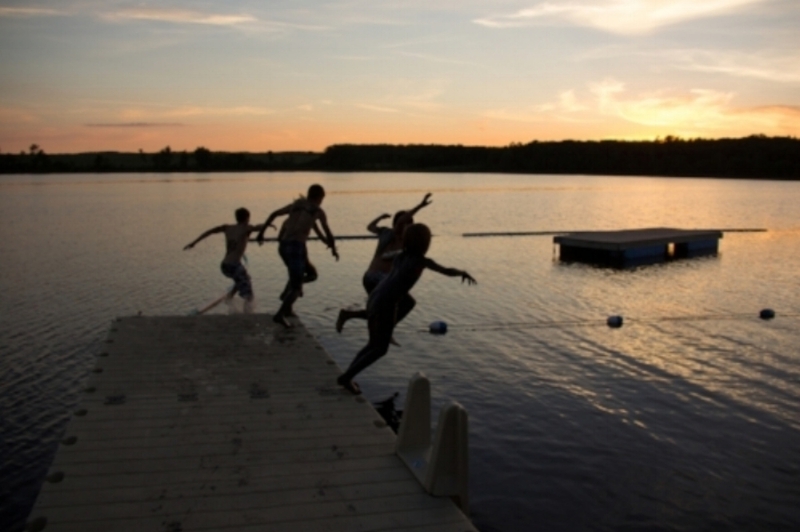 Surrounded by siblings, all hovering over the edge of the dock, afraid of what you can't see under the surface, but craving the cool that will wash over you the second your body hits the water. You break the surface, squeezing your eyes closed and exhaling as you descend. The world falls silent for just a moment and you realize that you did it. And you jumped because there were people willing to jump with you. Our lives are exactly this way. The deep dive is made infinitely less intimidating when we have someone to stand next to us, hold our hand, count to three, and jump in with both feet. Better still are the times when there is someone already waiting for us in the water, a courageous companion who leapt into the unknown ahead of us, someone who can tell us what we can expect once we find our own courage. This is Diving Deep, the podcast. A collection of stories from people who have already jumped, people who have taken the deep dive and lived to tell about it. People who believe in extending an invitation to you. People who want you to join them. In this episode, Becky and Sarah introduce the Diving Deep podcast, an invitation for each of us to uncover the abundant life we deserve. Through personals stories and the collective wisdom of people who have already leapt at a different way of living, the owners of Black Pearl Coaching take the audience on a deep dive into dreams... the kind of dreams that exist only to cause our awakening.